Yumeko was happy to see Mary again after the events of last semester, but Mary as a cool beauty does not reciprocate those feelings openly. 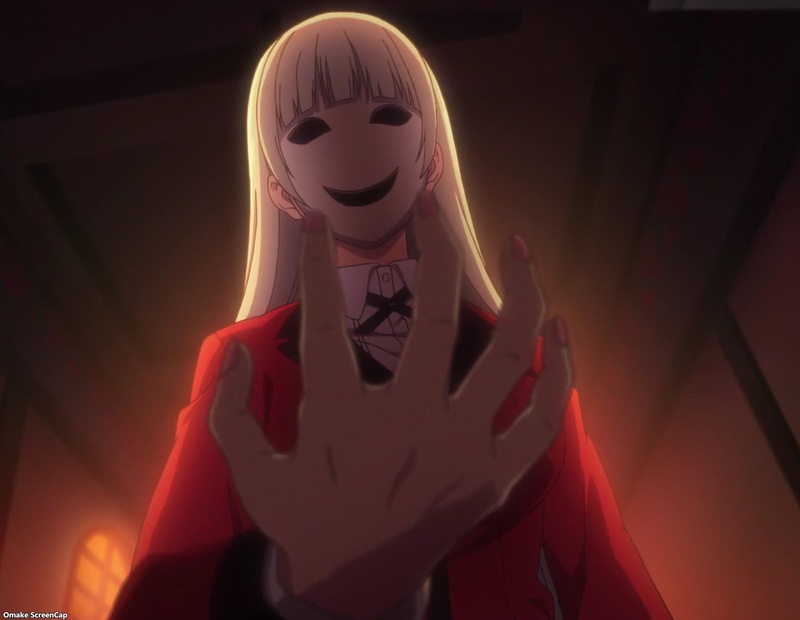 Mary is not so sanguine about the new things the student council is doing about gambling rules after all those "-bami" guys came into the school. 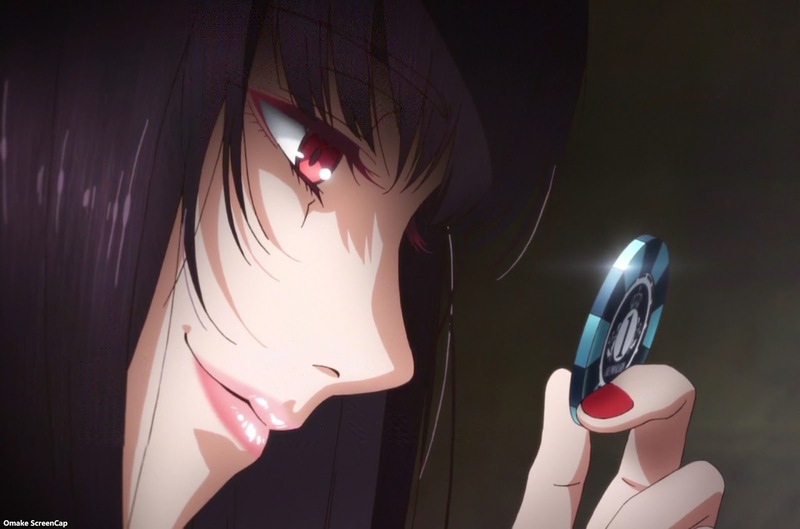 Yumeko sidesteps the observation that she also has a "-bami" name and just wants to get to the gambling. 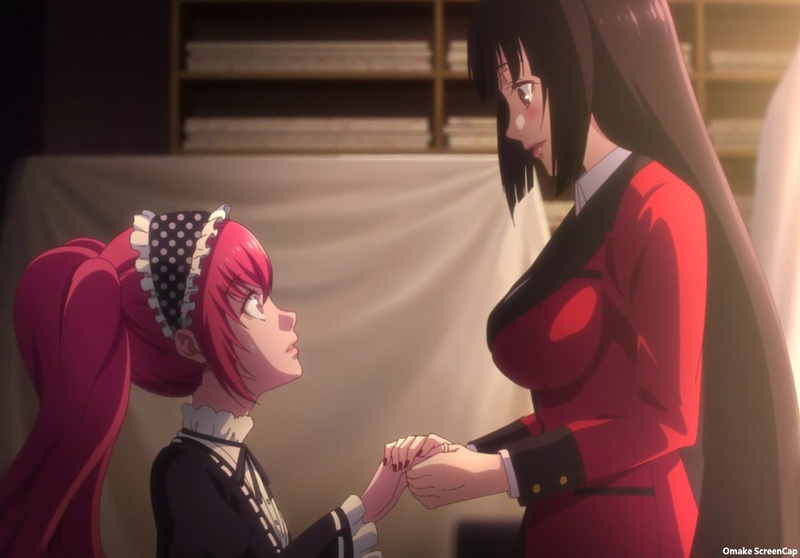 We got caught up quickly to how Yumeko and Midari started their game with Erimi. 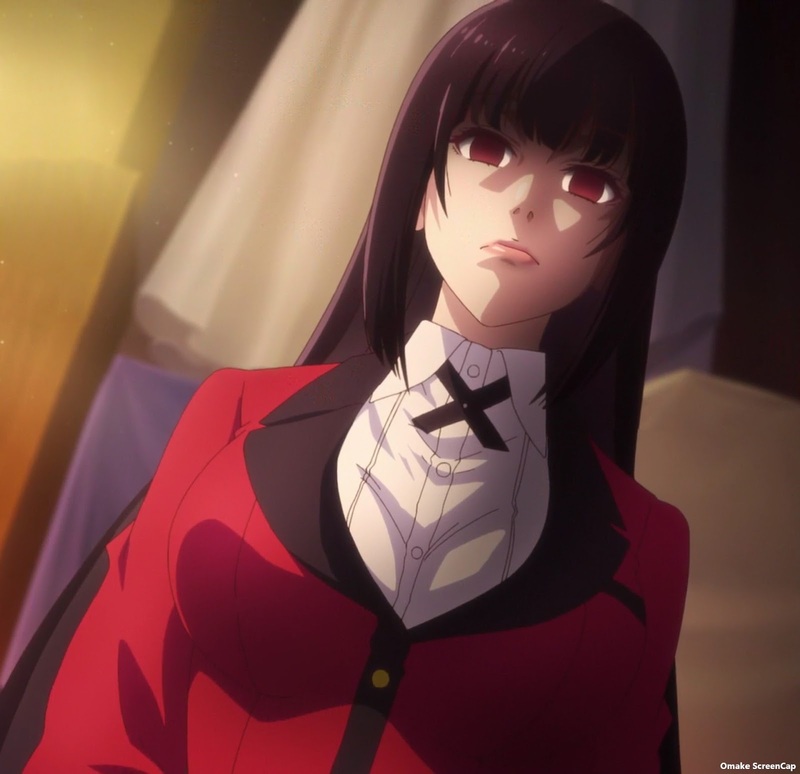 Yumeko keeps showing how much she doesn't like Midari because she is more turned on by the stakes of bodily harm instead of just pure gambling. 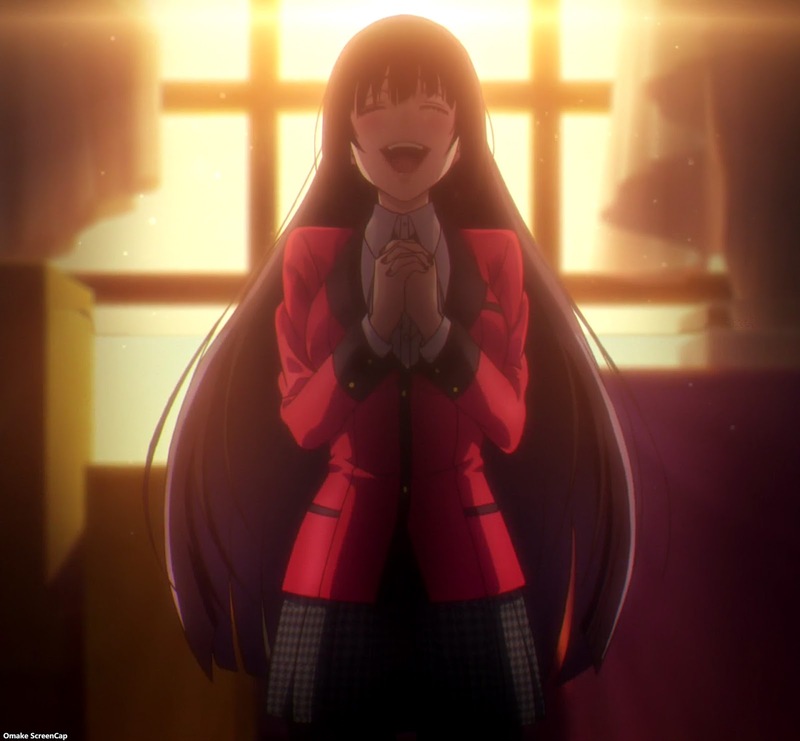 In the end, Midari ruined the game for Yumeko by breaking the rules at a key moment. 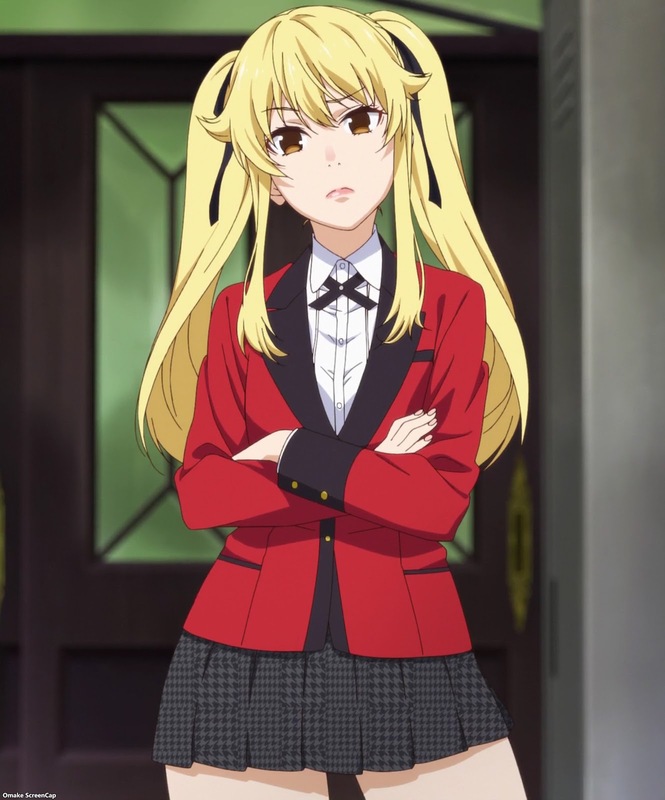 Yumeko did appreciate Erimi's efforts in providing an exciting high stakes contest and would like to play with her again. Midari, not so much. Mary has not been participating in this new way of gambling at the school. 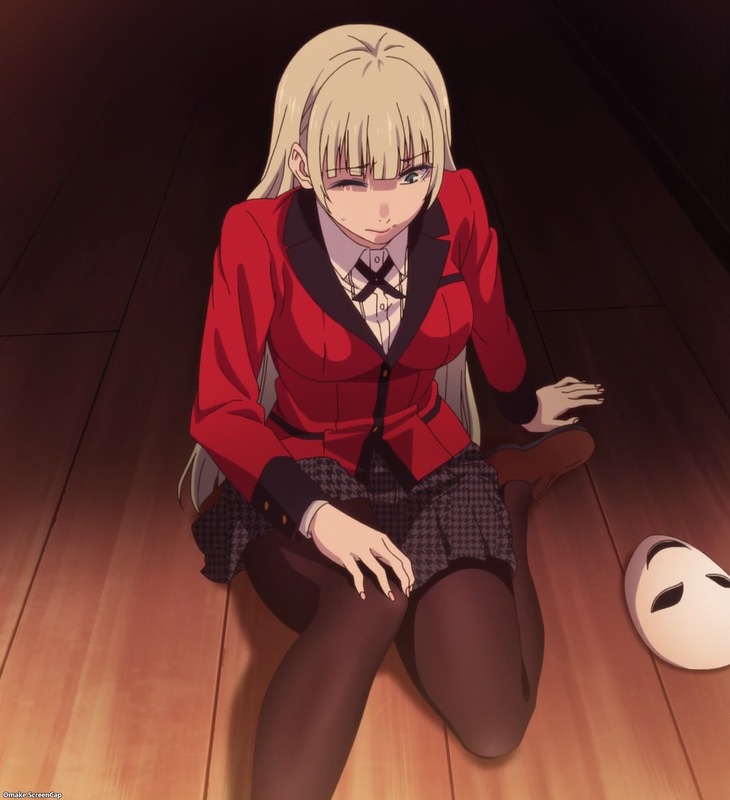 After literally running into Ririka, revealing her beautiful face and how she really is the twin sister of Kirari, she got an invitation to a probable side plot to gain an advantage on the interlopers.